Ok so you special summoned or normal summoned a Seaking with out using Star Blast so his level is unchanged. WTF do you do now???? Some things to remember is that you will need to dump at least one fishborg other than the one you will SS with SDKC and you will need to dump at least 1 Level Eater. 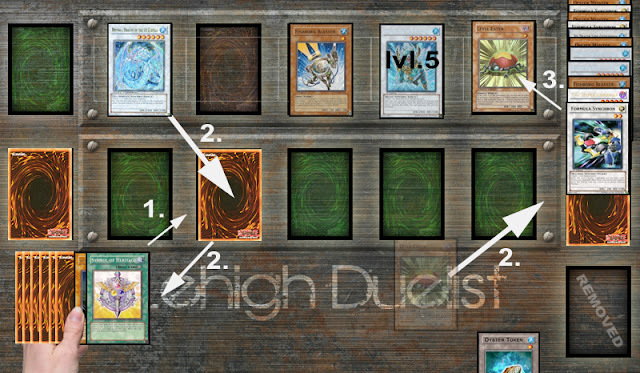 The deck is comprised of cards that will let you draw deeper if you do not. Dumping 2 Level Eaters makes it easier but not necessary and drawing into multiple Symbols is handy too. 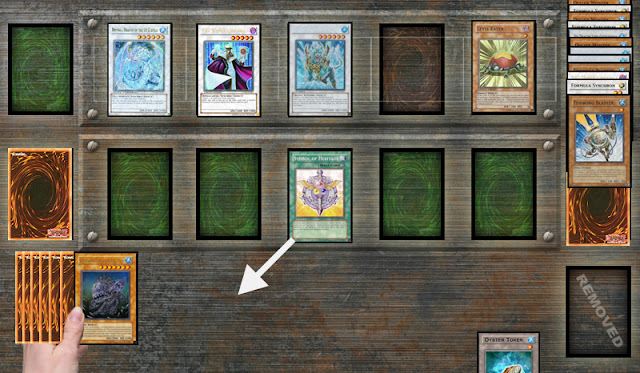 Now at this point you have discarded 3x, hopefully one of those discards was a Level Eater. If you hadn't drawn into one yet before your last discard then you should have abused some of your draw cards (moray, card destruction, hand destruction etc.) 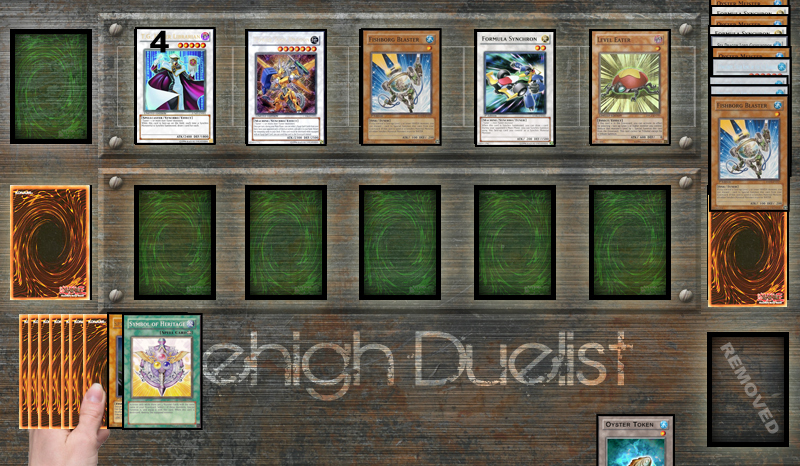 to try to get one to hand before last fishborg summon. 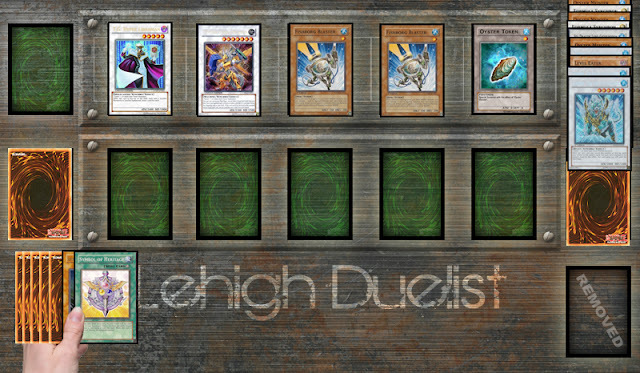 Ok that makes 3 Dewlorens, 3 means we can use Symbols of Heritage to fuel the Trishula part of the combo. Next we need to make sure we have a Symbols in hand if we didnt draw into one. Also note that we will need 2x Fishborgs in the grave at this point, You should have been making dumping Fishborg and Level Eaters a priority. 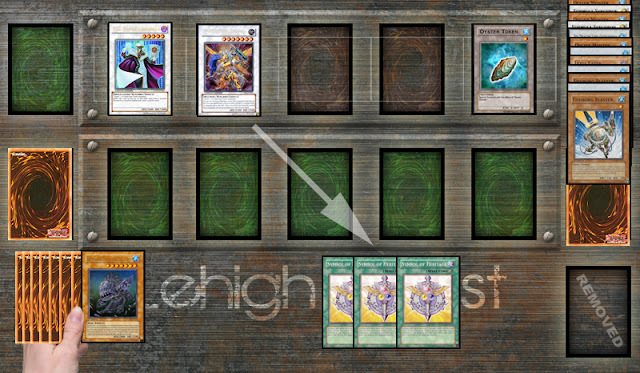 Use your cards to draw into 'em and have them there before you discard in the next step. With a symbols in hand we are ready to move on. We will have to sacrifice this last token to summon our 3rd Formula Synchron. 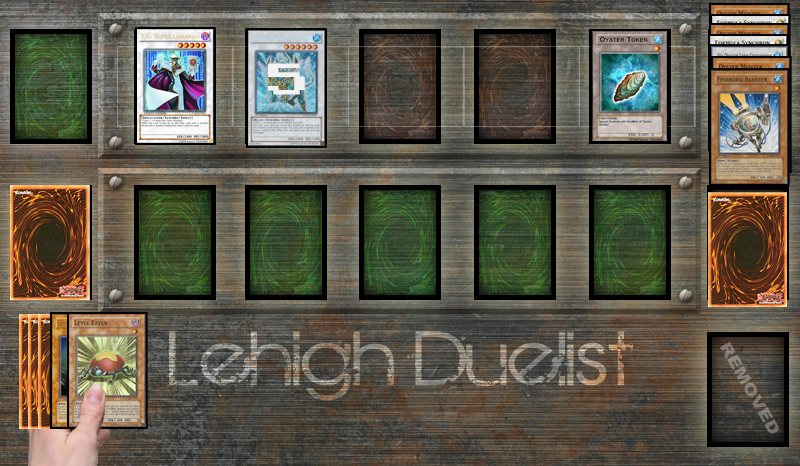 This means no more fishborg abuse :( so to do this and not trip yourself up discard 2 cards and SS 2 Fishborgs. 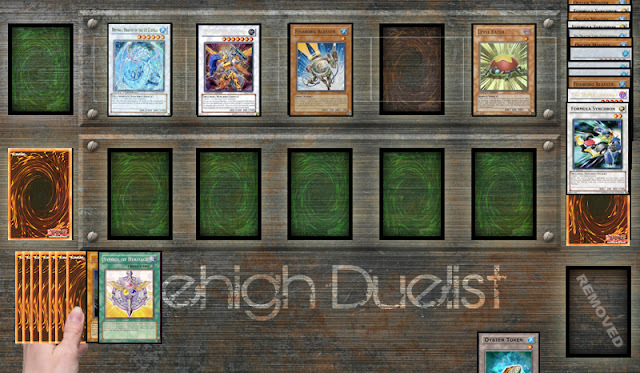 Do you like drawing all these cards? 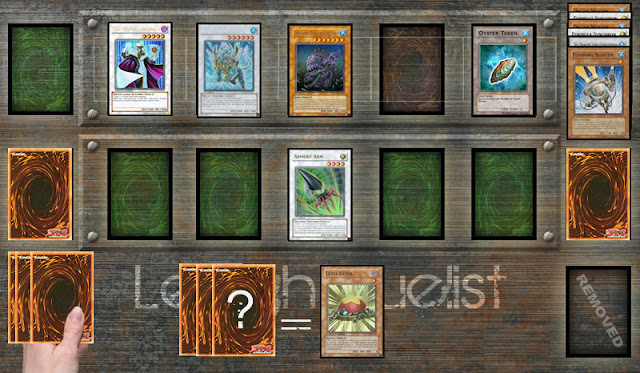 YEAYY - Do you love lIbrarian? YEAYY - Well we are gonna get rid of him so we can make Brionac who can work with fishborg and fuel the combo? 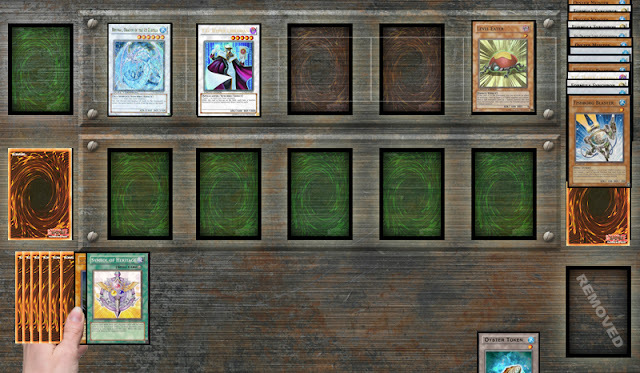 BOOOO - But were gonna remake a 2nd Librarian so we can draw more cards with Trishula and Stardust? YEAYYY! 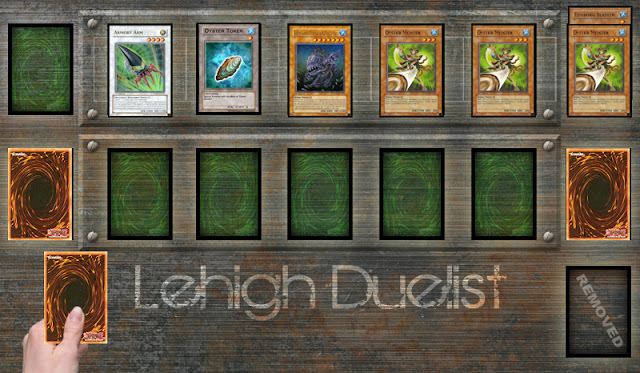 Bounce everything but Dew so that we can try to get our Librarian back. 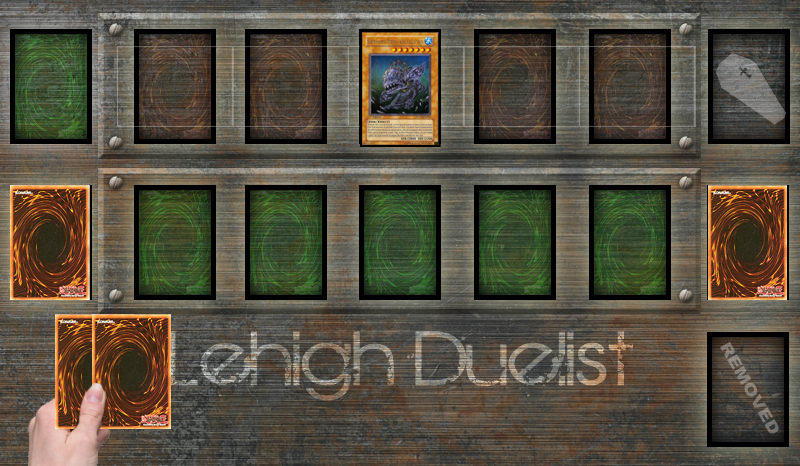 YEAYY! This is a bit complex but to get Librarian (lv5), with fishborg (lv1) we are gonna need a lv. 4 water monster. 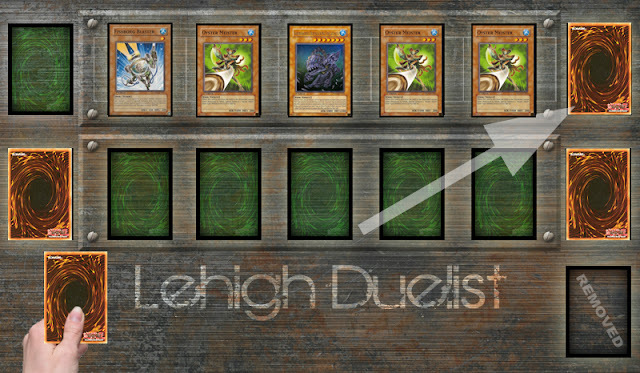 Since we know we can get Dew back with symbols each time lets make him our lv 4. Lv 4 Dew + Fishborg = Librarian #2 YEAYYY!!! 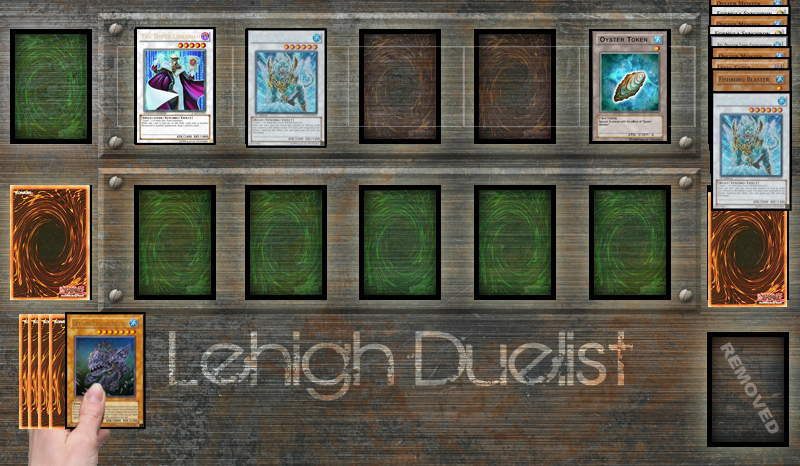 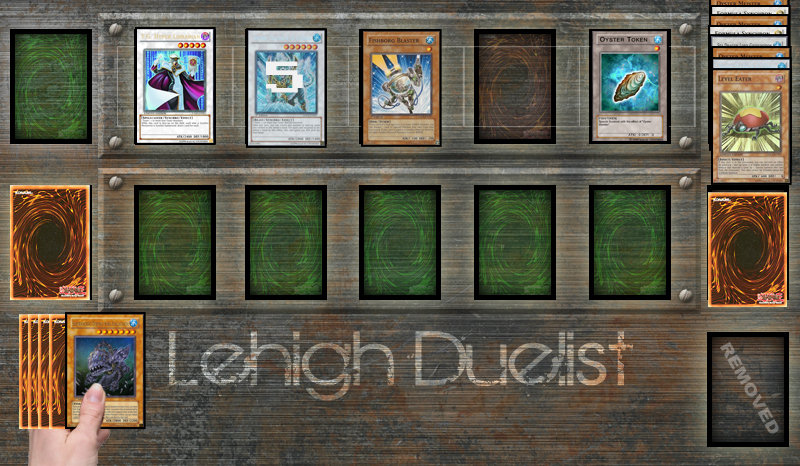 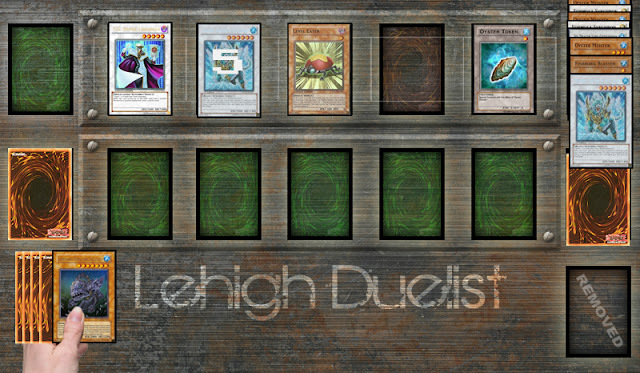 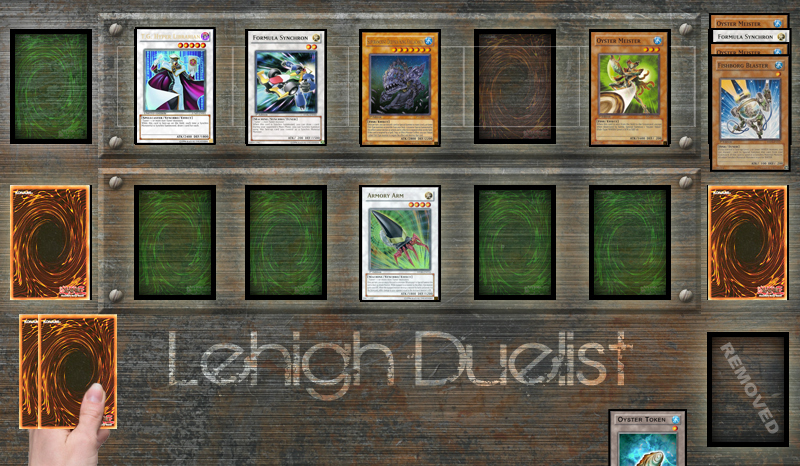 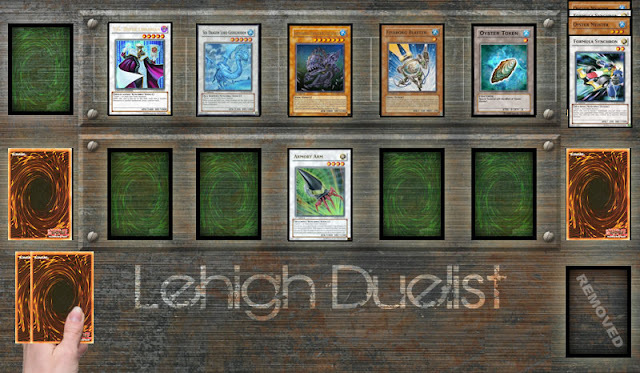 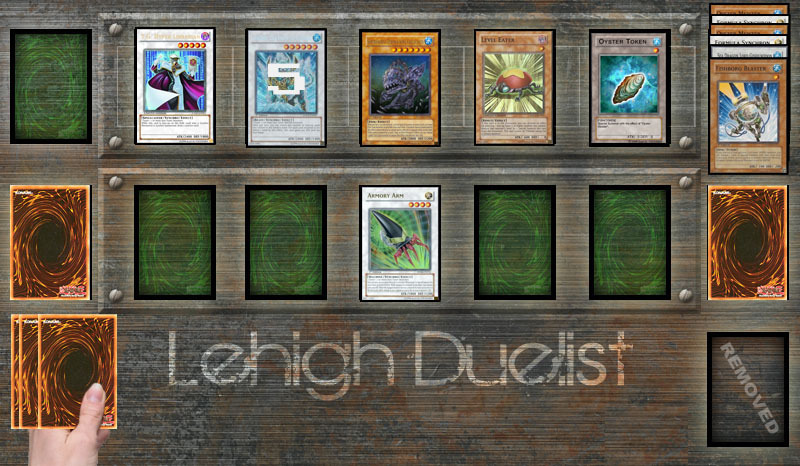 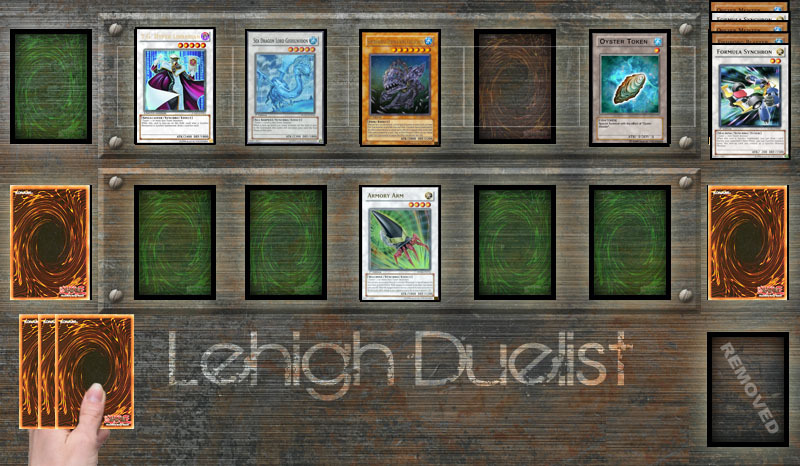 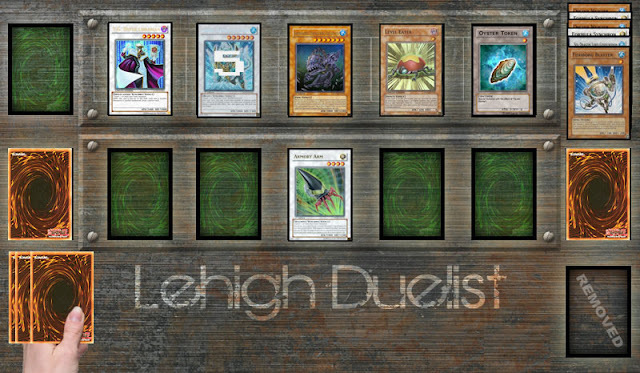 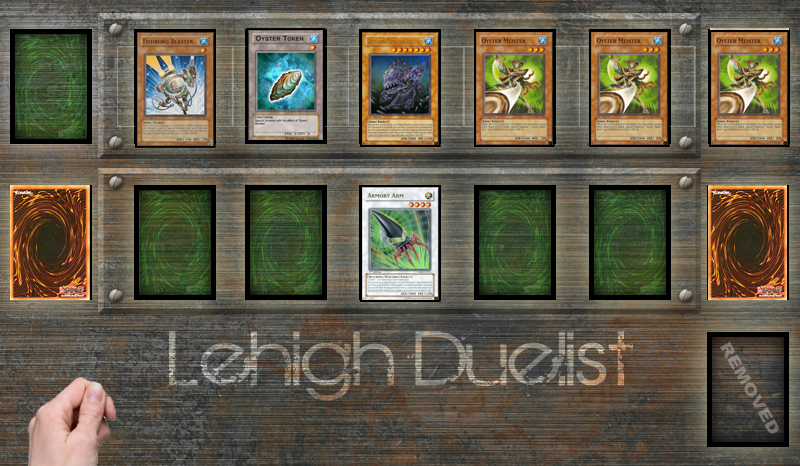 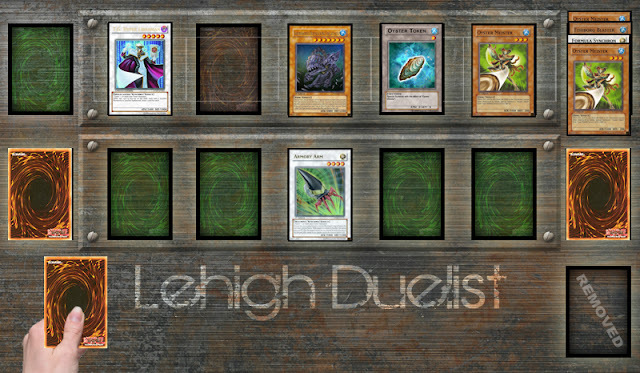 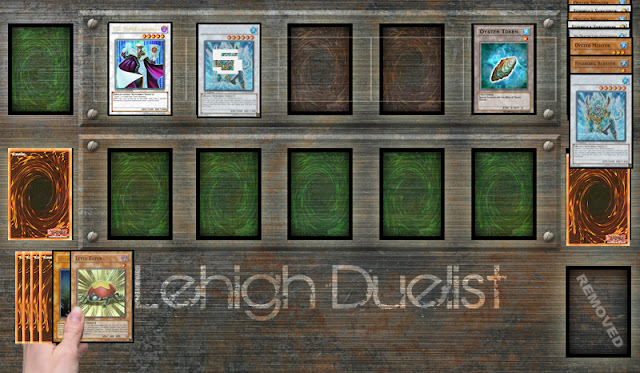 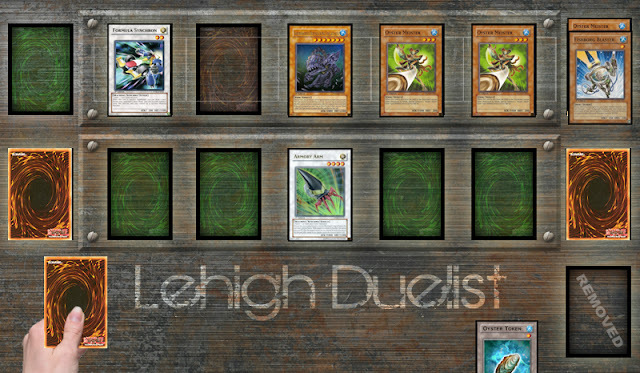 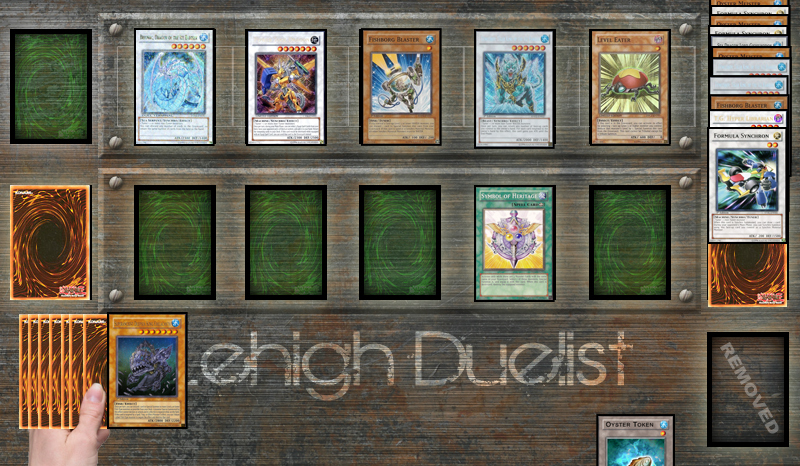 Now this should look familiar if you already read part 3 ; This field is the set up for the Trishula loop ; Play Symbols for Dew ; Bounce Symbols with Dew and let the fun begin.